Twenty years ago, a boy named Jack Sawyer travelled to a parallel universe called The Territories to save his mother and her Territories "twinner" from a premature and agonizing death that would have brought cataclysm to the other world. Now Jack is a retired Los Angeles homicide detective living in the nearly nonexistent hamlet of Tamarack, WI. He has no recollection of his adventures in the Territories and was compelled to leave the police force when an odd, happenstance event threatened to awaken those memories.When a series of gruesome murders occur in western Wisconsin that are reminiscent of those committed several decades earlier by a real-life madman named Albert Fish, the killer is dubbed "The Fisherman" and Jack's buddy, the local chief of police, begs Jack to help his inexperienced force find him. But is this merely the work of a disturbed individual, or has a mysterious and malignant force been unleashed in this quiet town? What causes Jack's inexplicable waking dreams, if that is what they are, of robins' eggs and red feathers? It's almost as if someone is trying to tell him something. 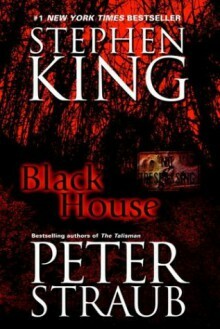 As that message becomes increasingly impossible to ignore, Jack is drawn back to the Territories and to his own hidden past, where he may find the soul-strength to enter a terrifying house at the end of a deserted track of forest, there to encounter the obscene and ferocious evils sheltered within it.